Warm waters include all streams, lakes, and ponds, except those designated as trout waters (map, page 11). Warm-water fish, also known as spiny-ray fish, include species such as largemouth bass, smallmouth bass, walleye, catfish, sunfish, white bass, and striped bass. Many of these fish occur wild in self-sustaining populations throughout New Mexico. Some of these populations depend on supplemental stocking. Each year, NMDGF stocks thousands of largemouth bass and channel catfish and millions of walleye fry to increase and improve angling opportunities. Click the tab headings below to learn more about limits, bait, and trotlines. Possession Limit for each location is twice the daily bag limit, except tiger muskie which is one fish. Possession of and use of any baitfish while fishing is illegal, except as defined below. Baitfish may not be used in Special Trout Waters, Bitter Lake National Wildlife Refuge or Bottomless Lakes State Park. Bluegills and sunfish (genus Lepomis) taken legally by angling may be used as live or dead bait in the water where taken. Commercially packaged and processed fish which are dead are not considered baitfish and are approved for use in all waters where the use of bait is legal. Roe, viscera, and eyes of game fish taken legally may be used in all waters where the use of bait is legal. Chumming is allowed in all waters, except Special Trout Waters. Goldfish or bullfrogs may not be used as live or dead bait in any waters. Live and/or dead baitfish are approved for the drainages and waters listed in the table below. This includes Regular Trout Waters (for locations in table only) where the use of bait is legal. Baitfish may only be taken for personal use and only by anglers who are currently licensed or 11 years of age or younger. Permitted methods for taking minnows include: angling, dip nets, cast nets, traps and seines. Seines may not be longer than 20 feet, and the mesh size may not be larger than 3/8-inch square. 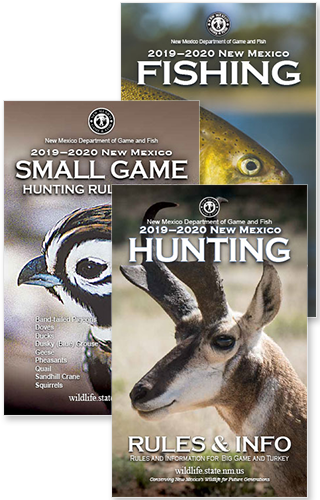 All protected species of fish (including endangered and threatened species) taken with seines, nets, and traps must immediately be returned to the water. A trotline (throw line, limb line, set line, jug line, or “Yo-yo” line) is a line without a rod or reel attached. It does not need to be handheld nor closely attended. Trotlines are limited to 25 hooks. Trotlines belonging to two or more people may not be joined or tied together. Anglers may not fish with more than one trotline. Anglers may not check, pull up, or tamper with the trotline of another person. Any person using a trotline must attend it personally at least once every calendar day and remove or release all game fish that are caught. A person fishing with a trotline must attach an identification tag that is visible above the water line. The identi- fication tag must list the angler’s Customer Identification Number (CIN). Anglers 11 years of age and younger must list their Customer Identification Number (CIN) or their name and date of birth on the identification tag. Trotlines may be used to take game fish in most warm waters, however, trotlines may not be used in any trout waters (including Winter Trout Water), except: Abiquiu Lake; Rio Chama downstream from the northern boundary of Christ in the Desert Monastery; Gila River downstream from the junction with its east fork; Navajo Lake; and Rio Grande downstream from its junction with the Rio Chama. Trotlines may not be used in Special Summer Catfish Waters.